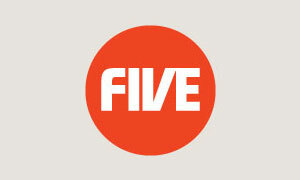 FIVE has today (TUES) unveiled its new on and off-air look for its main channel as part of the branding refresh work which began in the Spring. This is the second wave of the project following the successful launch of FIVER, formerly Five Life, in April. The on-air will be unveiled on the channel on Monday, 6th October. This is the first major off-air project under Five’s Head of Brand Strategy and Marketing, Carl Ratcliff, who said: “We feel this new work is closer to the truth of the brand. Playfulness and colour sit at the heart of this new identity.” Ratcliff worked in conjunction with Five’s Head of Creative Services, Nol Davis, to manage the new on-air strategy to create a cohesive look and feel across all the refreshed activity. The refreshed look is reflected in passionate and colourful off air marketing including traditional poster sites, the London Underground and press and digital media, to initially support Unbreakable, the gruelling, global adventure series hosted by Benedict Allen and the irreverent travelogue series, Paul Merton in China. In order to express the inclusive tone of the renewed brand the off-air marketing now features a ‘we are’ before the Five logo. Simon Dixon, Founder/Director at DixonBaxi, said: “The new on-air look combines strong design, confident language and the spark of personality which reflects the fun of watching TV with Five.” This is the first time the main channel has undergone a brand refresh since it transformed from Channel 5 to Five in 2002.